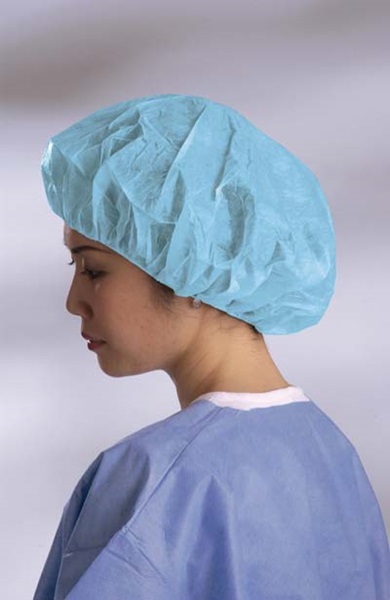 Medline caps are made of single-ply spunbond polypropylene, which results in less linting and is latex-free. 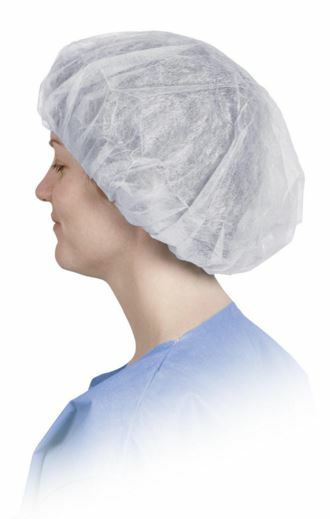 Caps comply with NFPA standards and have double-stitched elastic band for closure that keeps caps flat and comfortable on the forehead. Sold 100 per bag. 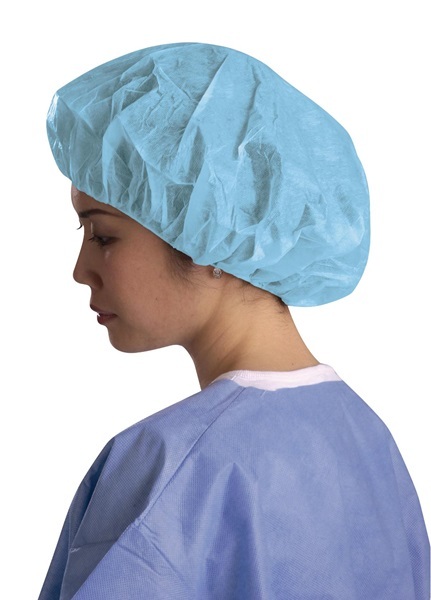 Blue cap, 21-inch medium size. 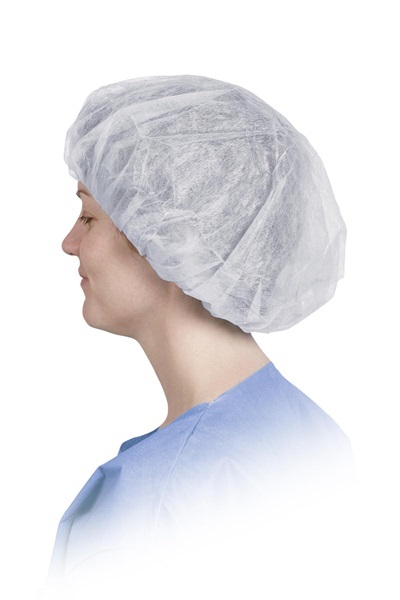 White cap, 24-inch large/regular size. 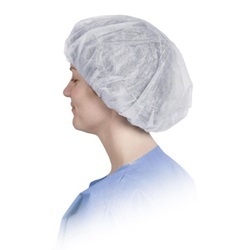 Blue cap, 24-inch large/regular size.